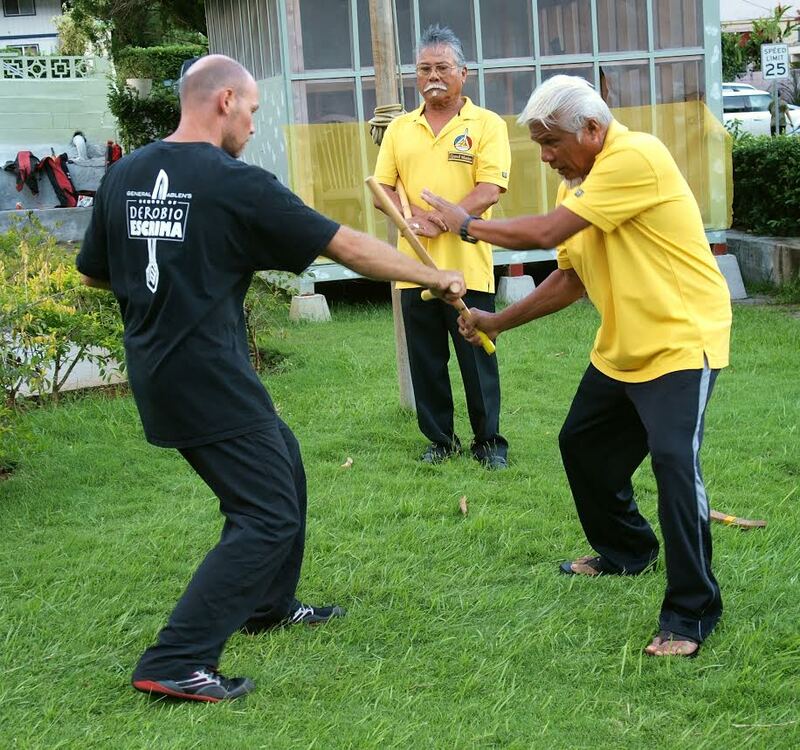 Chief Master Leslie (right) Largo and Grand Master Gary (center) Largo practice with student at General Ablen School of Derobio Escrima in Kalihi. Hmmmmm, you think to yourself. Who are these people? What are they doing? Where can I can get one of those cheerful yellow shirts? Yes folks, it’s time to spotlight another very special entry from AHA’s 5th Edition of the Directory of Historical Records Repositories in Hawai‘i. This month, let’s take a look at eFil, the Filipino Digital Archives and History Center of Hawaii, where we’ll find all of the answers to the questions above. Well, most of them. We’re not sure where they got those lovely shirts. According to their website, “eFIL’s mission is to help set the conditions and provide the necessary building blocks for students, educators, researchers and general public to develop an awareness and appreciation of Filipinos in Hawaii’s history.” They focus specifically on Hawaii’s filipino community because of its geographic isolation, as well as its pivotal role in a people’s migration from the Philippine archipelago to the rest of the world. With this mission in mind, eFil has collected oral histories from community members, digitized Filipino newspapers printed in Hawaii, preserved the musical stylings of the Julian Yorong Rondalla Group, digitized the WWI service records of Filipino veterans available online….and much, much more. 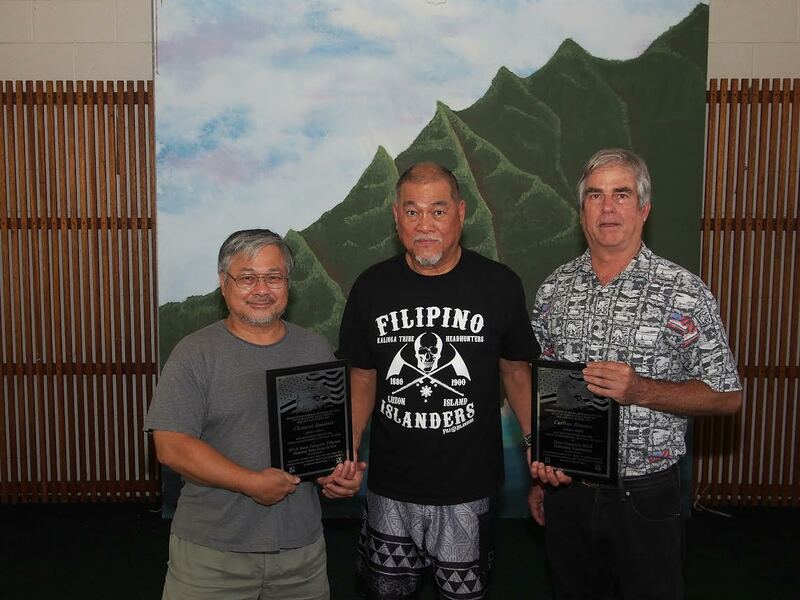 Richard Bustillo (center) presents United States Martial Arts Hall of Fame awards recognizing eFIL administrator Clement Bautista (left) and General Ablen School of Derobio Escrima Senior Master Carlton Kramer (right) for their efforts to document Hawaii’s past and present masters of eskrima. According to Clem Bautista, eFil administrator, one of their current projects includes the Hawaii Masters of Eskrima documentary project, which is funded in part by the Hawaii Council for the Humanities. 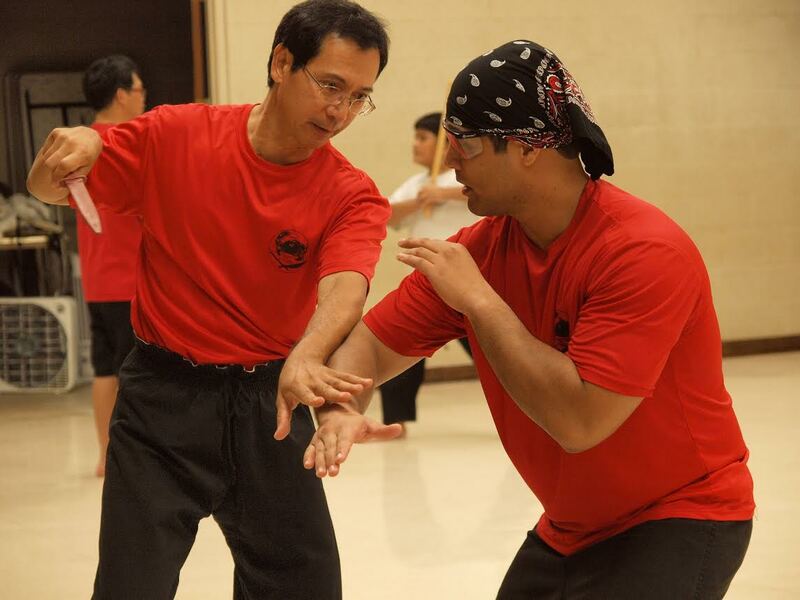 It is a video documentary of some of Hawaii’s past and present masters of the Filipino martial arts. Maestros Donald Mendoza (right) and C.J. Tobosa (left) of Tobosa School of Kali Escrima practice sparring with a dagger at Halawa Gym. The centerpiece of the project are oral histories of present masters and recollections of their past masters. These past masters include: Raymond Tobosa, Braulio and Eddie Pedoy, Frank Mamalias, Snookie Sanchez and Floro Villabrille. Among the present masters to be interviewed are Donald Mendoza, Gary and Leslie Largo, Patrick Amantiad, Michael and Josephine Del Mar, Rudy Orlanda, and Richard Bulacan. Scheduled to be released later this year, the documentary will also include demonstrations by 11 schools of Filipino martial arts. Interested in exploring their collections? eFil is open 24/7 at www.efilarchives.org.